Advances in technology inevitably lead to more efficiencies, better products and improved lifestyles for people. But each leap of faith into the domain of a newer technology brings with it a set of newer challenges for mankind. As machines increasingly take over the drudgery of repetitive tasks and become more intelligent, human beings invariably need to re-skill themselves. This applies to business leaders as well as their followers. The Fourth Industrial Revolution in the offing now builds on the Digital Revolution, representing new ways in which technology becomes embedded within societies and even the human body. As per a World Economic Forum document titled ‘Future of Jobs Report’, employers are said to anticipate a significant shift in the division of labour between humans, machines and algorithms for the tasks of today. The aforesaid report states that of the total task hours across the industries covered, on an average, 71% are currently performed by humans, whereas 29% are performed by machines or algorithms. By 2022, this average is expected to have shifted to 58% task hours performed by humans, and 42% by machines or algorithms. It can be readily appreciated that this signifies a very rapid pace of change, something for which leaders need to be better prepared. The report goes on to project that skills related to analytical thinking, active learning, technology design and technology competency would grow in prominence. It also proposes that such ‘human’ skills as creativity, originality and initiative, critical thinking, persuasion and negotiation will either retain or increase their value, as will attention to detail, resilience, flexibility and complex problem-solving. It follows that in the impending man-machine conflict, human beings are not likely to suffer the same fate as that of the non-avian dinosaurs which went extinct some sixty-five million years ago. But the writing on the wall is clear. They need to roll up their sleeves and get down to the task of sharpening their soft skills. A humane approach to handling team members needs to be consciously developed, especially when operating in a business environment characterized by a shortage of skilled workers. In turn, this would pre-suppose a higher Emotional Quotient and better service orientation. Even as the reliance on artificial intelligence grows for the analytical part of decision making, the role of intuition would become even more crucial. Most employers would go in for innovating through technology if it makes business sense. It follows that technology would continue to remain a tool in the arsenal of the corporate world to squeeze more profits out of their operations, thereby making careers more fragile and impacting labour incomes adversely. With 24×7 connectivity, people are already working longer and enjoying lesser leisure time. In a scenario of this kind, there is a grave risk that leaders would end up losing a connection with themselves even more than at present and hence end up de-humanizing the work place. However, values remain indestructible. As an example, honesty and truthfulness in relationships is something which is bound to withstand the onslaught of newer technologies in the centuries to come. Same is the case with empathy, compassion, resilience and a flexible approach in problem solving. Perhaps there is a need for governments the world over to anticipate newer moral and ethical dilemmas in a proactive manner and influence technological developments suitably, so human dignity and freedom is not compromised. One may also surmise as to how the imminent advances in technology could throw up positive as well as negative factors which are likely to impact the man-machine equation in the times to come. 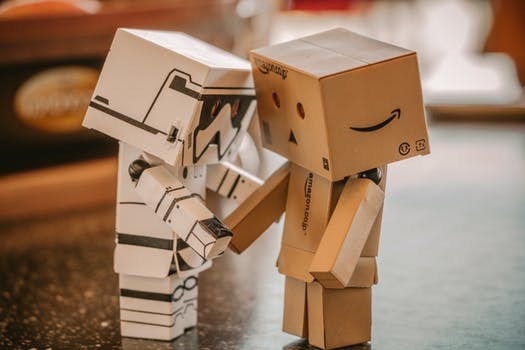 According to a 2014 report entitled ‘AI, Robotics, and the Future of Jobs’, published by Pew Research Centre, researchers Aaron Smith and Janna Anderson went to the extent of seeking feedback from as many as 1,896 experts. They found that when it came to the impact of advances in technology upon economic opportunity and employment, the opinion was deeply divided. The optimists opined that technology would free us from day-to-day drudgery and end up redefining our relationship with ‘work’ in a more positive and socially beneficial manner. They felt that we shall adapt to these changes by inventing entirely new types of work and control our own destiny through the choices we make. The pessimists amongst those who participated in the aforesaid study were of the opinion that the coming wave of innovation would mostly impact those involved in white-collar work. Whereas highly skilled workers will do better, many more might get pushed into lower paying jobs, and might even face permanent unemployment. They also felt that our educational, political and economic institutions are poorly equipped to handle the challenges which are likely to come up. The aforesaid piece of research throws up instructive insights into how the future might shape up. Leaders and managers really need to think up some innovative ways in which they would handle a highly polarized workforce, comprising a disgruntled lot at one end and a highly skilled one at the other. Unlike the earlier industrial revolutions, which first created and then changed the skill sets required by our blue collar workforce, the Fourth one promises to change the work profile of our white collar workers. In his book, The Fourth Industrial Revolution, Professor Klaus Schwab, founder and executive chairman of the World Economic Forum, describes how this fourth revolution is fundamentally different from the previous three, which were characterized mainly by advances in technology. According to him, these technologies have great potential to continue to connect billions of more people to the web, drastically improve the efficiency of business and organizations and help regenerate the natural environment through better asset management. As we grapple to understand the future direction of monumental changes in our socio-economic fabric owing to the next phase of technological evolution, few things stand clear. One, that our educational institutions are nowhere near the task of training a workforce which would not learn analytical skills by rote but would grasp the importance of creativity, resilience and improve upon their Emotional Quotient. Two, most of our governments are yet to devise ways and means of regulating issues of protecting individual privacy, executive burnouts arising out of a 24×7 connectivity and heightened civic strife due to growing inequalities. The next phase is bound to create a newer class of elite – those who are adept at newer technologies, leaving far behind those who are not. Those in the first category could end up believing that they are all too powerful. Those who remain blissfully ignorant and continue to be disconnected to those who are reaping the benefits of newer technologies are likely to gravitate towards a belief that they have no place in the knowledge universe. With poor resources of material as well legal kind at their command, these new ‘have-nots’ of the society may be doomed to languish for a long time, till the governments of the day intervene, willfully or otherwise, and ensure implementation of economic policies which are more inclusive in nature. The third kind, comprising those left in the middle of the normal distribution curve of technology dispersal, could end up having a balanced approach to issues. In fact, with advances in technology, this kind could well face a higher risk of extinction, paving the way for those who believe themselves to be all too powerful to rule the roost. The same pattern may become apparent in the realm of management as well. Leaders and executives would need to increase their engagement not only with the society at large, but also with the governments of the day. A massive effort at re-skilling personnel would become a necessity. Infosys co-founder N R Narayana Murthy happens to be of the view that technology is a great leveller. He thinks that technology has improved transparency, conquered distance and class barriers. Also, that it has the potential to create a fair society and enhance the accountability of the rich, the powerful and the elite to the poor and disenfranchised in all societies. One cannot dispute this. However, concerns regarding an increasing trust deficit remain. Denizens of many countries are feeling increasingly jittery over instances of data privacy. Moral policing, electoral pitching, rumour mongering – all these are fuelling this trust deficit. One case in point is that of Facebook which is already armed with tools to dig deep into our lives, with the singular aim of moulding our thoughts and opinions about diverse aspects of our lives. Employees in most organizations already resent living in a virtual fish bowl, where all their communications are suspected to be getting monitored. No one likes to be micro-managed, especially those who are capable and self-confident. Business enterprises have already started deploying tools to monitor employee productivity by collecting and analyzing their activity and inactivity levels. In the long run, a work environment of this nature would end up impacting productivity, commitment and motivation levels adversely. One thing is certain. Change is not only a constant. With each passing year, the rate of change is also increasing. Much like Alice in Wonderland, Homo sapiens are discovering that they need to keep running faster and faster, with nary a respite in sight. Mankind is bound to evolve further much earlier than what was believed in the past. Alvin Toffler would perhaps heartily approve of this proposition. Unlike thought so far, the man machine relationship shall become more integrated with each other in the near future. 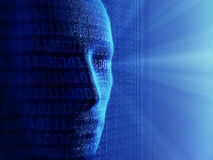 As a result, the combined force of processing of billions of data points for efficient decision making by machines, and contextual, emotional and intuitive aspects of decision making by human beings, would be, to that extent, higher and greater in their respective impacts – for good or bad. – Employees, whether present or potential, can go beyond the formal education system and aggressivle look for avenues to hone their skills, so as to remain employable. As Stephen R Covey has said, we need to keep our saws sharpened. – Same applies to our business leaders, who would do well to improve upon their Emotional Quotient. – The agenda for educationists and politicians is clear: To keep taking steps to facilitate the change already upon us; to anticipate the challenges of privacy and rumour mongering and to intervene to have appropriate safeguards embedded in upcoming technologies. Businesses all over the world chase profits, and rightly so. However, when they do so at the cost of the planet we depend upon or by usurping the legitimate rights of communities they operate in, there is a cause for concern. All professionals who care for probity in corporate lives, stand for sustainable living and detest relentless pursuit of profits would heartily welcome the recent initiative taken by some of our far-sighted business and community leaders. These leaders have pledged themselves to work on an alternate paradigm for business which puts people and planet alongside profits. Known as The B Team, the initiative is a global nonprofit venture co-founded by Sir Richard Branson, and Jochen Zeitz in October 2012. It brings together international activists and business leaders to “make business work better”. The “B” in The B Team represents the need for a “Plan B” for Business. By implication, “Plan A” is the current framework in which corporates are driven by commercial greed alone. Branson has stated that business has had many positive impacts on the world but needs to move away from a focus on immediate profit to one where it invests and operates for the long-term good of people and the planet. The B Team intends to achieve this vision by dividing an Agenda into Challenges, which will be acted upon and implemented by B Leaders in their own organizations. Upon its formation, the group assembled a collection of young influencers and gathered feedback on where and how The B Team could have the most impact and pinpoint the roadblocks that prevent businesses from contributing to the greater good. Sir Richard Branson, Founder and Chairman of Virgin Group comprising around 400 of its business entities, and Co Chair of The B Team. Jochen Zeitz, Director of Kering and Chairman of its board’s Sustainable Development Committee; Co-Chair, The B Team. He has worked on the first-ever environmental profit and loss (EP&L) for Puma. Dr. Gro Harlem Brundtland is an international leader in sustainable development and public health. Under her leadership, the Brundtland Commission had defined the word ‘sustainable development’ in the 1980s. She served three terms as Prime Minister of Norway (1981, 1986–89, 1990–96), and has served as the Director General of WHO. She now serves as a Special Envoy on Climate Change for the UN Secretary General Ban Ki-moon. Shari Arison, the owner of the Arison Group, is an America-born Israeli businesswoman and philanthropist and is one of Israel’s wealthiest women. She is the owner of several business companies, the largest among them being Bank Hapoalim. She also manages several philanthropic organizations which are subsidiaries of The Ted Arison Family Foundation. Kathy Bushkin Calvin is President and CEO, United Nations Foundation. She joined the Foundation in 2003, following a diverse career in politics, journalism, public relations and business. Arianna Huffington, Chair, President & Editor In Chief, The Huffington Post Media Group, is a Greek-American author and syndicated columnist. She is best known for her news website The Huffington Post. Dr. Mohamed “Mo” Ibrahim is a Sudanese-British mobile communications entrepreneur and billionaire. He worked for several other telecommunications companies before founding Celtel. After selling Celtel in 2005 for $3.4 billion, he set up the Mo Ibrahim Foundation to encourage better governance in Africa. He also created the Mo Ibrahim Index, to evaluate nations’ performance. Guilherme Peirão Leal is a Brazilian billionaire entrepreneur. He is the co-chairman of the Board of Directors of, and owns a 25% stake in, Natura, Brazil’s leading manufacturer and marketer of skin care, solar filters, cosmetics, perfumes and hair care products. Strive Masiyiwa is the founder and chairman, of global telecommunications group, Econet Wireless. He currently serves on a number of international boards including the Rockefeller Foundation, the Advisory Board of the Counsel on Foreign Relations, the Africa Progress Panel, AGRA, the UN Sec General’s Advisory Boards for Sustainable Energy, and for Education. Dr. Ngozi Okonjo-Iweala is a globally renowned Nigerian economist best known for her two terms as Finance Minister of Nigeria and for her work at the World Bank, including several years as one of its Managing Directors (October 2007–July 2011). François-Henri Pinault, is a French business person and the CEO of Kering. He is the son of the company’s founder, businessman Francois Pinault. Often nicknamed ‘FHP’, he is also Director of Financière Pinault, as well as the President of Artémis’ executive board. Paulus Gerardus Josephus Maria Polman is the CEO of the multinational Anglo-Dutch food and detergent company Unilever. He is committed to transforming Unilever, its customers as well as supply chain partners, into strict followers of sustainability. Ratan Tata, KBE, an Indian business person of the Tata Group, a Mumbai-based salt to software conglomerate. He was the Chairman of the group from 1991-2012. Since 2012 he holds the position of Chairman Emeritus of the group which is an honorary and advisory position. The Tata Group and its companies & enterprises are perceived to represent India’s best-known global brand within and outside the country as per an ASSOCHAM survey. Zhang Yue, Chairman and Founder, Broad Group of China, which is one of the few Chinese manufacturing companies that has been widely recognized for its green policies and commitment to countering climate change. Professor Muhammad Yunus is a Bangladeshi banker, economist and Nobel Peace Prize recipient. As a professor of economics, he developed the concepts of micro-credit and micro-finance. These loans are given to entrepreneurs too poor to qualify for traditional bank loans. Team B therefore draws upon a wide array of skills, whether from business or from social activism side. There is a geographical diversification in the choices made, thereby bringing on board a broad spectrum of regional perspectives. All the members want to first start practicing before they start preaching. In other words, they intend to start making changes at their own organizations first and then start motivating others to follow suit. In an interview on the website of B Team, Ratan Tata touches upon the need to curb corruption in the corporate world. He also points out that 66% of the stake in Tata Sons, the holding company of the group, is held by Tata trusts which eventually plough the earnings back into charity. There is increasing realization within the group that the trusts’ activities should now spread globally, no longer restricted to India alone. In the days to come, one would watch with considerable interest the way things shape up for the Team B. One hopes that fostering of values at the work place would be taken up as a serious challenge, as would be the task of developing future leaders driven by a strong moral compass. In a dismal scenario where not a week passes without us hearing of some corporate scam or other and where the memory of Lehman Brothers is still fresh in our minds, some recent initiatives sound like green shoots which have the potential of changing the business scenario by modifying the ways in which profits are pursued, as also by utilizing the returns from business for the common good. Formation of The Team B is one such laudable initiative. In 2006, the World Economic Forum launched its Partnering Against Corruption Initiative. It continues to make progress by roping in more and more corporates from across the world. Earlier, in 2003, UN members had signed its Convention against Corruption. As of June 2013, there are 167 countries, including the EU, which are a party to the same. If these initiatives bear fruit, most responsible corporates the world over would perhaps be e-publishing their EP&Ls in not too distant a future. More significantly, we shall have the collective satisfaction of handing over a healthier planet to the coming generations! 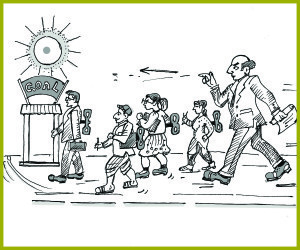 ‘Getting a Moral Compass would be a Sound Business Strategy for India Inc.’ published on December 9, 2012. 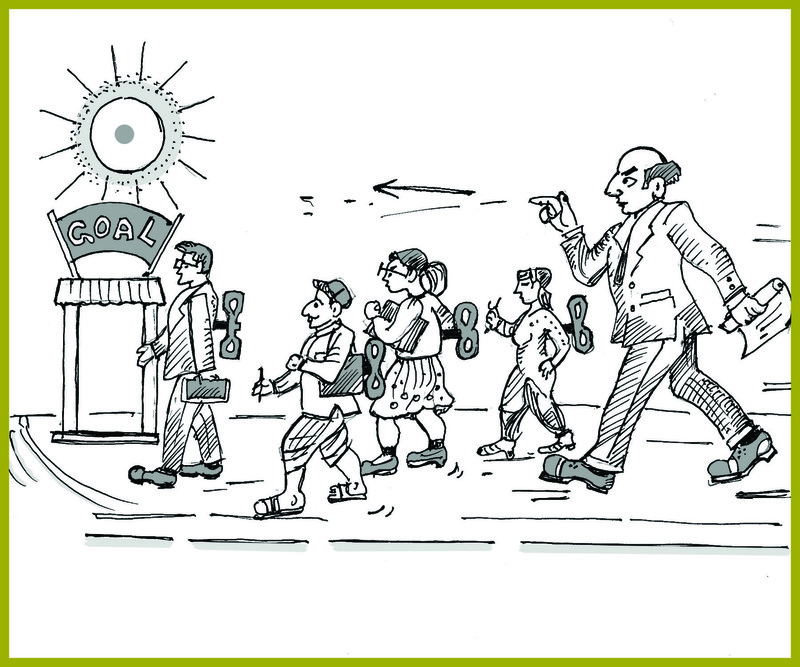 ‘What would our Business Leaders be like in 2025?’ published on January 27, 2013. WHAT WOULD OUR BUSINESS LEADERS BE LIKE IN 2025 A.D.? Leadership is a much discussed virtue in management literature. However, like Peter Drucker says, there is no ideal type of leader. “Leadership personality’, ‘leadership style’ and ‘leadership traits’ don’t exist”, he writes in The Leader of the Future. The emergence of a leader is the result of a complex interplay of two factors – personality traits of the leader and what needs to be done at a given point in time. The moment the two become congruent, a new leader could emerge on the scene and deliver the goodies! There is no doubt that the leaders of tomorrow would need personality traits which would be qualitatively different from those of today. Here is my take on what business environment circa 2025 would be like, and how our future business leaders would be tackling it. What would be the business environment like in 2025? Several CEOs I spoke to said that business leaders in 2025 shall be working against the backdrop of a world which would, in all likelihood, be a multi-polar one, with Asia, particularly China, exerting more influence on global events. It would be a world which would be more inter-connected, commercially and otherwise. Thanks to new communication means, the individual empowerment levels would have risen significantly. Also, it would be a more urbanized world. Thanks to the rise of a new global middle-class, society in general would have reached a higher level of aspiration, resulting into a much higher demand for energy, food and water. On the flip side, income disparities would have risen substantially. Changes arising out of our climatic patterns would also pose a formidable challenge to the leaders of those times. We could still be in for surprises, though. Disruptive changes are quite likely to overwhelm us. These changes could come in the form of impact of new technologies in the field of robotics, biotechnology, space sciences and communication. Increasingly, governments world over may start becoming enablers of entrepreneurship, faced as they will be with direct and intensive pressure from those they govern. We shall surely be seeing more entrepreneurs amongst our midst – whether in the commercial sector or in the societal sector. Since the level of entropy in the system would have gone up further by then, a business leader of circa 2025 would have to be adept at making decisions under a higher level of uncertainty. The abnormal today would be the new normal, and many a leader would be feeling more like experts at river rafting in our economic and statutory rapids, often being called upon to go against the current. I am not an expert in Econometrics, but could venture to guess that for those who are quantitatively inclined, advanced statistical tools would come in even more handy. I say so because there will be an overdose of data as well as information available to a business leader then. However, ultimately, his/her intuitive abilities – based on personal experiences in their formative years – would prove to be more valuable. Sir Colin Marshall, the ex-Chairman of British Airways, transformed his organization into one of the premier customer service kinds in the days of yore. The uncertainty he faced in the period of his association with BA was monumental and serves as an example to be followed by CEOs of future. Jeff Bezos of Amazon came up with the concept of ‘predictive analytics’, paving the way for all of us to enjoy the convenience of shopping on-line. A logical corollary of the above would be the need for a leader to be ahead of the curve. Those who have counter-intuitive responses and place a higher trust in their natural instincts would surely fare better. In turn, there would be a strong need for a much higher degree of inner resilience, because this alone would enable them to keep their stress levels under control even in trying circumstances. Dynamism will be yet another critical input. It would ensure that they are able to steer their businesses through the dense economic fog enveloping the business highways. The World Economic Forum had proposed a theme centered on the twin traits of resilience and dynamism for 2013. Given that there are no risk free growth models available to leaders and CEOs of the future, one could not agree more with this proposition. A good example of facing flak and not losing sight of one’s goals is that of Larry Page of Google. He continues to trust his instincts and doing what he thinks is best for his business. Given a much more inter-connected world, a business leader in the future would need to possess a vast knowledge of commercial, behavioral and societal norms followed in different parts of the world. A primary task would obviously be to ensure that his/her organization has world-class management processes. Only those institutionalizing best practices in strategic planning, marketing and human relations would be able to make their organization a successful one. The fact that a leader would, in all likelihood, be leading a multicultural team of followers would pose a challenge – irrespective of whether the situation demands a leadership which is ‘transactional’ or ‘transformational’. When one considers the example of Compaq’s Eckard Pfeiffer, who was a leader in a race against himself, it becomes clear as to how organizational renewal can be brought about. “No matter what industry a company competes in”, he said, “it must live with one foot in the present and the other in the future….there is simply no other way to build world leadership”. The profile of the followers would also be different. Hierarchical authority is already proving difficult to manage change; there is no reason to believe this would not be even more so in the future. The followers would demand a higher degree of participation in the decision-making processes. Leaders who recognize this need of their followers and create a working environment which enables the same would achieve higher levels of efficiency and effectiveness in their business processes. Creating a non-coercive environment in which employees and other stakeholders are clear about the corporate identity and the mission would be far more important than it is today. Reverse mentoring would be more a norm than an exception in the days to come. Monsanto’s CEO, Robert Shapiro, had the ability to go against traditional hierarchy. He initiated strategy sessions with cross-sections of employees of different ranks, specialties and geographical perspectives and reaped rich dividends for his company. Leaders who believe in sustainable businesses would not only use their commercial compass while determining the direction to take. Using a moral compass would be a valuable trait amongst the future leaders. A strong inner core, embedded with a value system which recognizes the needs of the society at large, would be a great quality to have. A pre-condition for employing key managers would be their endorsement and support of the core values of the business. When the likes of Siemens and Wal-Mart come clean on their misdemeanors, they set an excellent example of probity in the business world. When Mr. Ratan Tata, the Chairman Emeritus of India’s salt to software conglomerate rues his inability to enter some fields of business because of the absence of a level playing field in India, his focus is on one of the core values of his business. Indra Nooyi is charting a unique course for PepsiCo globally, shedding traditional markets and going in for healthier food products instead. Captains of industry today can set a personal example by getting cross-functional teams in their organizations to come up with suggestions to face the challenges of future effectively. They can also emulate some of the traits, thereby leading to a trickle-down effect across the entire organization. HR honchos can re-design their appraisal processes and re-assess training needs of key managers to address this issue. Those in senior management positions can consciously plan to hone their skills in areas they find themselves deficient. Management institutes can tweak their course content to ensure that those leaving their hallowed portals possess these traits, so as to improve their contribution towards the organizations they decide to either float or serve. And our time to start preparing the leaders of tomorrow starts now! GETTING A MORAL COMPASS WOULD BE A SOUND BUSINESS STRATEGY FOR INDIA INC. It is heartening to note that as many as six large Indian corporate groups have joined World Economic Forum’s Partnership Against Corruption Initiative at a recently concluded WEF India Summit in New Delhi. Infosys, Wipro, Godrej, Bajaj and Genpact have thus joined ranks with MNCs like Siemens, ABB and Rio Tinto in pledging to stamp out corruption across all their business verticals. Thirty more companies have apparently discussed concrete action that they can take to curb graft in their business dealings. A small beginning, but a crucial step appears to have been taken in the right direction. To lay the entire blame for corruption in high places at the doorstep of either the politicians or the bureaucrats is like looking at only one side of the coin. The corporate world is not only a victim but also a participant in the vicious cycle of corruption that corrodes our economy and saps the vitality of our constitutional institutions. The fact that business has finally articulated its voice against unfair practices goes on to confirm that anti-graft measures make eminent sense as a business strategy. India Inc willy-nilly becomes a partner in institutionalized corruption not only because of its need to line the pockets of those who make and implement laws and regulations which touch upon their businesses. The need to milk the exchequer to generate vast sums of cash to fund political activity also contributes towards the malaise. Siemens’ is a case in point. Based on investigations between 2001 and 2007, the German engineering major admitted to several bribery charges and paid fines of USD 1.6 billion to US and German authorities. The cases involved its operations in such far-flung countries as China, Venezuela, Argentina, Iraq, Bangladesh and Vietnam. A massive clean-up started, starting right from the Board of Directors. A Compliance Director was brought in. Besides organizational changes, compliance teams were set up across all the business verticals. All such teams formed an integral part of the respective business processes but functionally reported to the Compliance Director. As a policy, internal whistle-blowing platforms were created. A conscious decision was taken to withdraw from projects and territories where it was not possible for the company to engage in clean business. In other words, rather than confining itself to paper affirmations and lip service, anti-graft measures were made an integral part of the business processes of the company. It is not surprising that Tatas, a group renowned for its ethical standards in business, decided to study the Siemens model. It is well-known that for more than a century, Tatas have maintained a steady rate of growth without succumbing to the charms of shady deals as a means to the end of making profits. The result has been a steady build up of the trust placed by the public in the Tata brand. There are many instances of small businesses the owners of which suffer sleepless nights when asked to shell out taxes of any kind. Some reckless souls end up crossing the thin line dividing tax evasion and tax avoidance. There is no dearth of professionals who specialize in supporting such efforts, either due to pecuniary considerations or owing to the need to be in the good books of their bosses. The World Economic Forum deserves to be lauded for its efforts to facilitate the anti-graft renaissance amongst India Inc. However, what needs to be realized is that the quality of corruption has undergone a major change over the past several decades. Way back in the late 1970s, it used to be either about bending the rules or for terming a “wrong” as a “right”. Now, it is mostly about framing the rules in such a way as to favor a privileged few, and terming a “right” as a “right”! Corruption, as we face it today, has become more refined, operating within the legal paradigm, at subterranean levels. Corrupt practices brook no standardization; there are different kinds which have evolved depending upon the situation at hand. The customary kind is designed to prevent harassment and delays. “Speed money” helps smoother implementation of a business venture, within the ambit of rules and regulations in force. This kind also covers a bidding process where all players do not get a level playing field. The predatory type of corruption is one where those connected to power centers exploit business opportunities armed with prior knowledge of the development projects being planned. Again, all activities would be within the ambit of law, though there would be an in-built advantage in favor of the well-heeled. The patronage kind of corruption is based on cliques. A team gets formed, and the proceeds typically flow towards the higher echelons. Private businesses as well public sector entities fall prey to this type of corruption. Companies typically face internal corruption in such areas as procurement, logistics, outsourcing and the like. Internal audits are useful to curb these to some extent, but the real game changer is a clear message from the top, as also an exemplary reward and reprimand system for those who work in sensitive areas. Then there is petty corruption which all companies and individuals face in their day-to-day operations! Eradicating this type could perhaps be the toughest challenge. The RTI Act in India has surely been a very progressive step in the right direction. It has brought the corruption issue centre-stage and continues to remind us of the fragility of our systems and procedures at regular intervals. The response of our business leaders to the initiative of WEF is praiseworthy. One would watch their future actions with a keen sense of anticipation and hope. If the business in India comes together and forms a self-regulatory Corruption Watchdog, it could bring in a major change in the way the masses perceive its conduct. Corporates can also resolve to make all political donations transparent, thereby dismantling one of the main pillars of our parallel economy. The fact that India is ranked 94th out of 176 countries in corruption by the 2012 scores released by Transparency International is a wake-up call to all stakeholders to address this issue with all the seriousness it deserves. I may sound like a pessimist, but I do believe that just like the oldest profession in the world, viz. prostitution, the oldest practice in the world, viz. corruption, cannot be altogether eliminated. But all self-respecting citizens – corporate or otherwise – would perhaps agree with me that it can at least be reined in, if not eliminated. For this to be achieved, both the Government and India Inc can work in tandem. The Government can pitch in by playing the role of a transparent facilitator of business and by renewing its efforts towards creating a more equitable and inclusive society. Corporates can effectively contribute towards this goal by depending upon those who have the wisdom to differentiate between right and wrong. In other words, by having leaders and managers who have a high Moral Quotient! In the long run, a sound business strategy means steering a business by using a moral compass as well!